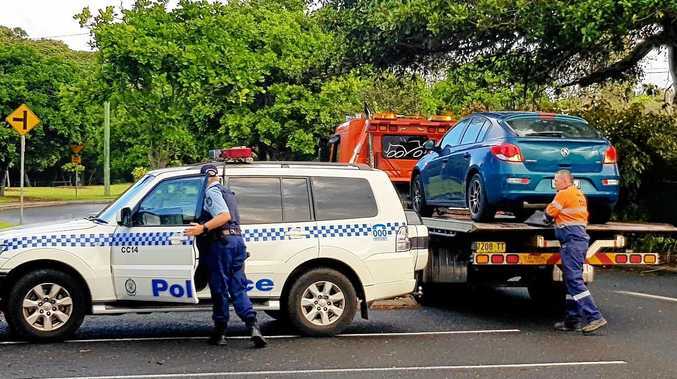 A FLERUIEU Peninsula mum got a terrifying surprise when she realised she was transporting an unexpected and deadly passenger after picking up her children from school. Alisha Chaffey was driving her two children to swimming lessons after picking them up from Rapid Bay Primary School on Tuesday when the slippery stowaway made its presence known in a truly shocking way. 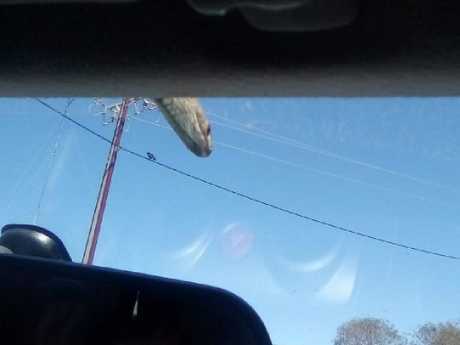 As she was driving the brown snake popped its head over the windscreen and directly into her line of sight. 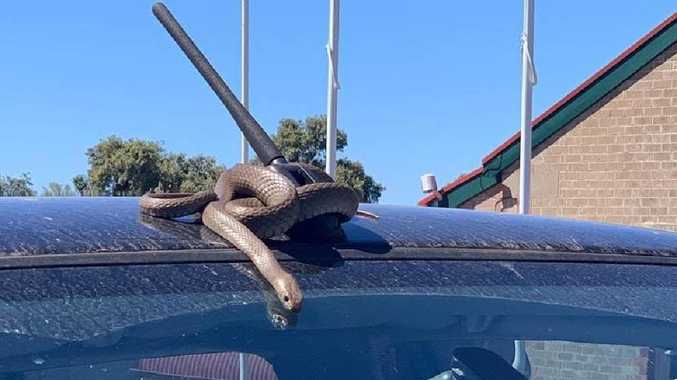 She told the ABC that she suspects the sneaky snake lowered down from a nearby tree and wrapped itself around the car's antenna. "I saw this little head come down and I just thought 'what am I going to do?'" she said. "Once you're out of the township, the speed limit goes right up to 100 (kilometres per hour) and so I first thought if I can get out of town once I hit 100 it's going to go flying off." But she realised if she did that then the snake would likely land in the tray of her ute and be very angry when she stopped. Ms Chaffey didn't want to get out of the vehicle or do anything to scare the snake as she had her children, including an 18-month-old, inside. So she drove back to the school and waved her arms around frantically until she got the attention of one of the teachers. The school bus driver managed to uncoil the snake from the antenna using a stick. He then placed it on the ground and let it slither off into the bushes. Ms Chaffey said she was used to seeing snakes as she lives on a farm but was concerned about how close it was to her children. "Seeing the pictures from the outside probably freaked me out more," she said. "With my little ones still in the car and the windows down, it could have been really, really scary." Snakes are common in the area and it isn't the first time a snake has been spotted near the school. The school recently held a snake awareness day as an extra precaution for students.